Vidharth’s Oru Kidayin Karunai Manu hits the screens today and there are good talks about the film. Meanwhile the Myna actor has also been roped in Muthaiah-Saiskumar’s Kodi Veeran in an important role. 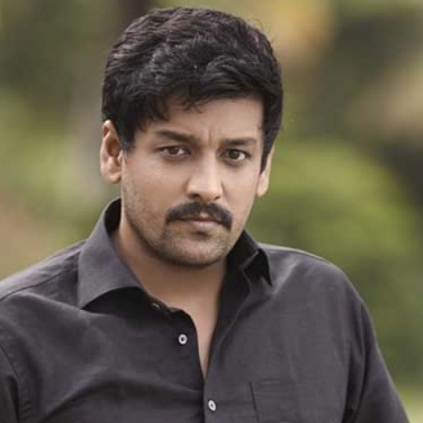 Vidharth says, “It is an extremely interesting and a good script. It’s an emotional story. I have never done such a role before. Sanusha plays my pair and Sasikumar sir is her brother in Kodi Veeran. I joined the sets just a week ago. Director Muthaiah had worked with me in my first film. After I saw his Komban, I was keen to team up with him. All that I would like to say is even at a time when I am doing solo hero films, I have chosen this mainly because of the excellent script. Shooting is going on in areas between Madurai and Theni. I will be shooting till 22nd June. Then I will be joining them for another 15 days next month with which I will be done with my portions”. Vidharth is also part of Kurangu Bommai, Vandi, Seema Thanni and a film under Bharathi Raja’s direction. Vidharth's Crime And Punishment After Kaadu! People looking for online information on Kodi Veeran, M Sasikumar, Muthaiah, Vidharth will find this news story useful.